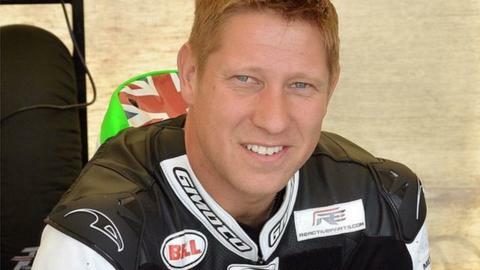 British Superbike Championship team GBmoto Racing have confirmed Gary Johnson will spearhead their debut season on the roads in 2015. The Kawasaki-backed team will build Johnson high-spec Ninja ZX-10R machines in the Superbike and Superstock classes at the international road races. The Lincolnshire racer has already recorded two TT wins in the Supersport class. "This is a fantastic opportunity," Johnson said. "Their infrastructure, bikes and kit is all mega and although this is their first time at the TT, I know they will put all the right pieces in the right places to be a success." Team Principal Mark Smith-Halvorsen said: "It's another big step forward for the team. "The North West 200, TT and Ulster GP are three huge events and ones I have followed closely, so I'm really excited to be heading there as a team next year." Smith-Halvorsen also knows Johnson is an excellent option for the team. "He's proven that he is capable of beating the best on the road and I'm confident, with the level of support we will have, that he can battle for victories in what is now a super-competitive field." The 33-year-old will represent the team at the TT, NW200 and Ulster Grand Prix in 2015.